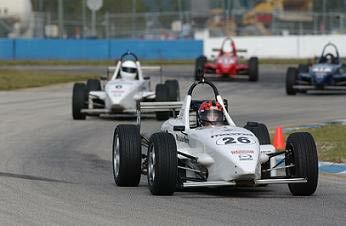 Shea began to gain experience in high performance driving events and went on to obtain her club racing license with the Sports Car Club of America (SCCA). It became obvious to her that both skills behind the wheel as well as both street smarts and book smarts would be critical to her success as a racing driver and future business owner. So, Shea earned her Bachelor’s Degree in Communications with a Minor in Marketing from the University of Central Florida. A degree that would pay off as she hit the pavement building partnerships to keep her on track while providing attractive marketing platforms for businesses. In efforts to add as many tools to her toolbox she attended many industry conventions and driver development schools such as seven-time Indianapolis 500 drivers, Lyn St. James, Women in the Winners Circle program. During the 2010 season, Shea and her family entered into professional racing in the then, SCCA Pro Racing World Challenge. 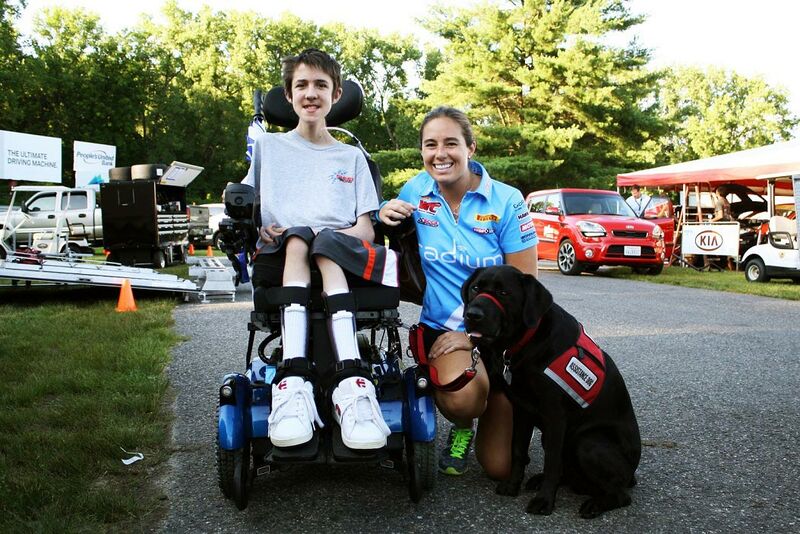 As a true mom and pop effort, team Shea Racing received support from family, friends, strangers and the racing community to compete in the St. Petersburg Grand Prix benefiting Duchenne Muscular Dystrophy. A disease that affects her family. Her first major mark in history came when she won the Long Beach Grand Prix in 2011 becoming the first female to win a Touring Car race at the prestigious venue. T he between years Shea and family experienced many highs and lows. A sport in which takes cents to make sense Shea stayed relentless. Finally, a big break. Shea became a part of TrueCar’s Women Empowered Initiative during the 2012-2013 seasons allowing exponential growth for Shea and the future business, Shea Racing. Shea and Jeff teamed up to become one of the larger Pirelli World Challenge Touring Car teams in the paddock with a racing and marketing purpose. Since then, she’s become a 6-time winner in the Pirelli World Challenge Series and has earned the credibility from her peers and competitors as a respected competitor, team owner and marketing guru. Along with her stellar trackside performances, Shea was just recently recognized by the Women’s Sports Foundation earning the ‘Women in the Winners Circle’ Project Podium Grant. 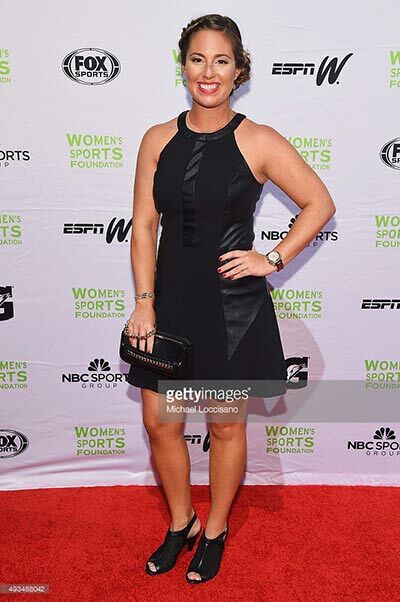 With media attention from espnW, Yahoo, Teen Vogue, Women’s Sports Foundation & Autoweek and she has had the honor to represented brands such as TrueCar.com, Hendrick Honda, Lucas Oil, BUBBA Burgers, KONI Shock Absorbers, CCW Forged Wheels and more. With her career and business evolving, Shea licensed in jet dragster to compete in the 2015 IHRA Nitro Jam Drag Racing Series while continuing road racing. She spent months preparing for what is to date the best season she believes she and Shea Racing will have in the 2016 Pirelli World Challenge Championships with a new look, new attitude and new racing program. Shea is currently driving in the Touring Car division in a Honda Accord V6 Coupe. Thankful for her career and all the support she’s received along the way nothing fulfills her the most than paying it forward. Duchenne muscular dystrophy (DMD) affects two of her cousins. Duchenne is the most common fatal genetic disorder diagnosed in childhood, resulting in progressive loss of strength and muscle cells. The progressive muscle weakness leads to serious medical problems and young men with Duchenne typically live into their late twenties. Although there are medical treatments that may help slow its progression, there is currently no cure for Duchenne. Her cousin Matthew passing made a significant impact on her life moving forward. Seeing the hardships her family went through, she decided to start advocating for DMD boys and their families. Shea partnered with Parent Project Muscular Dystrophy, a non-profit organization benefiting Duchenne and began her outreach. Together today, they’ve reached hundreds of thousands of motorsport fans and have raised over $20,000. Since her professional career began, Shea and her team have hosted Duchenne families out to the races surrounding and supporting their boys.